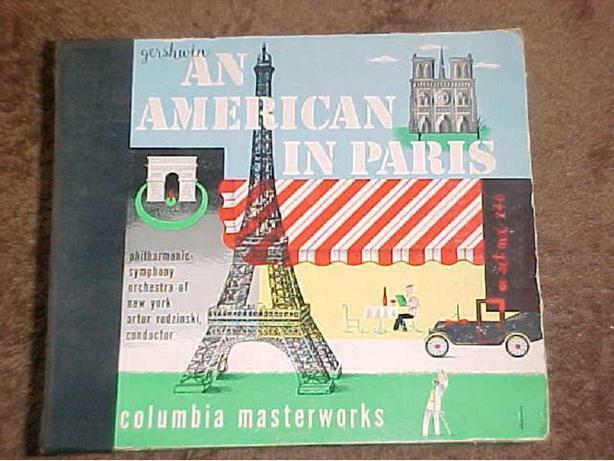 THIS CLASSIC VINYL78 RECORD, AN AMERICAN IN PARIS BY GERSHWIN, WAS PERFORMED BY THE NEW YORK PHILHARMIC ORCESTRA AND DIRECTED BY ARTUR RODZINSKI. THIS TWO LP ALBUM WAS RELEASED IN THE EARLY 1940?S AND ITS NUMBER IS MX-246. THE CONDITION OF THE ALBUM AND SLEAVE ARE BOTH GOOD CONSIDERING THERE AGE.